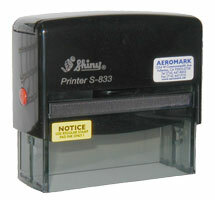 The Printer S-833 is a high quality self-inking rubber stamp great for copy that is wide but not very tall. 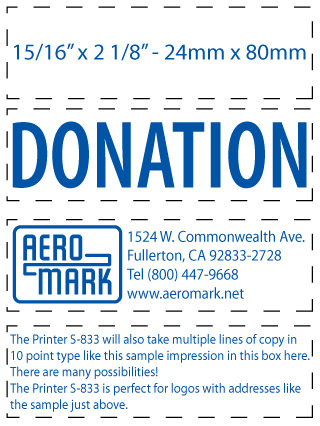 These stamps are suitable for paper stamping rather than parts marking. Printer S-833 Usable Area 15/16" x 3 1/8"